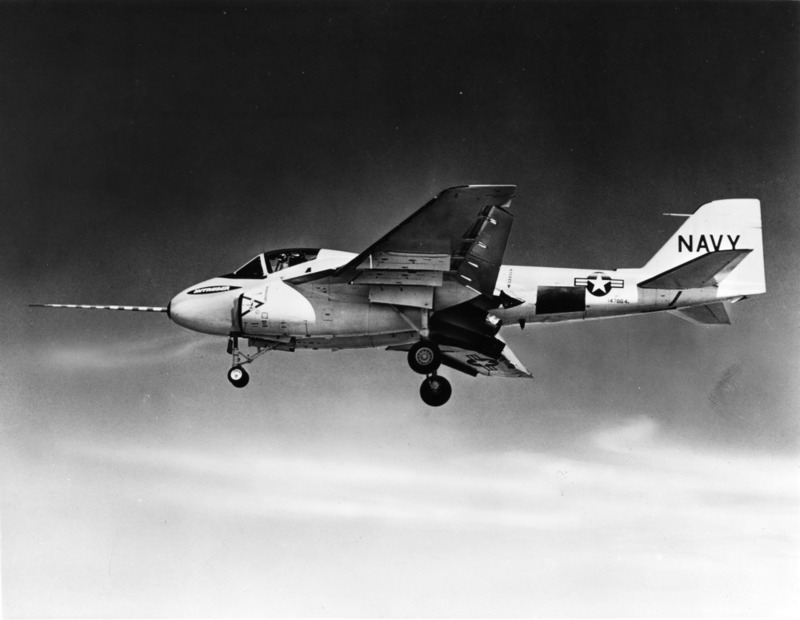 19 April 1960: Grumman Aircraft Engineering Corporation test pilot Robert K. Smyth made the first flight of the prototype YA2F-1 Intruder, Bu. No. 147864, at the Grumman Peconic River Airport (CTO), Calverton, Long Island, New York. 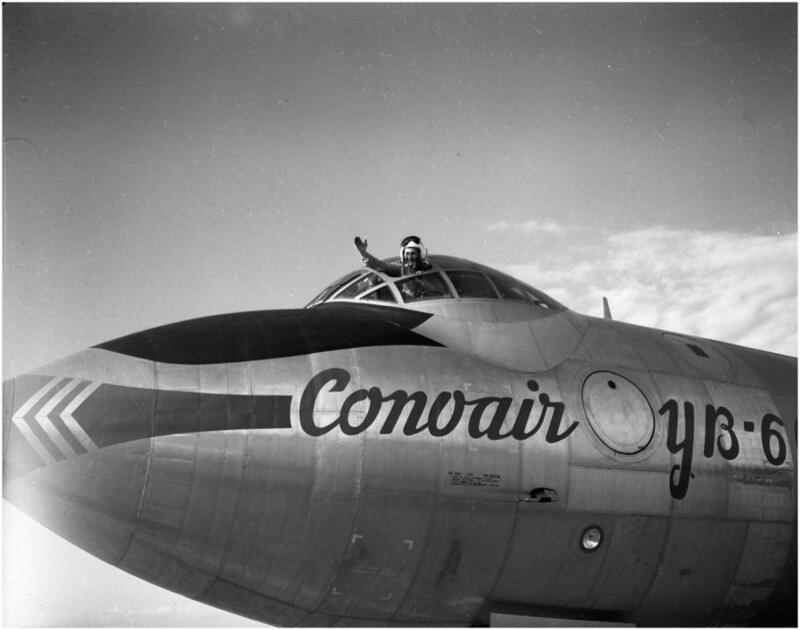 During the flight, Smyth climbed to 15,000 feet (4,572 meters). The landing gear remained extended during the flight. 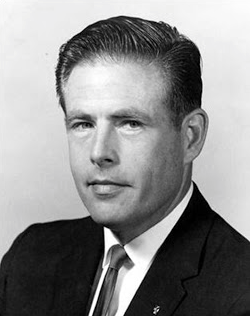 At one point, Smyth attempted to retract it, but a malfunction was indicated, so they remained down and locked. The first flight lasted one hour. 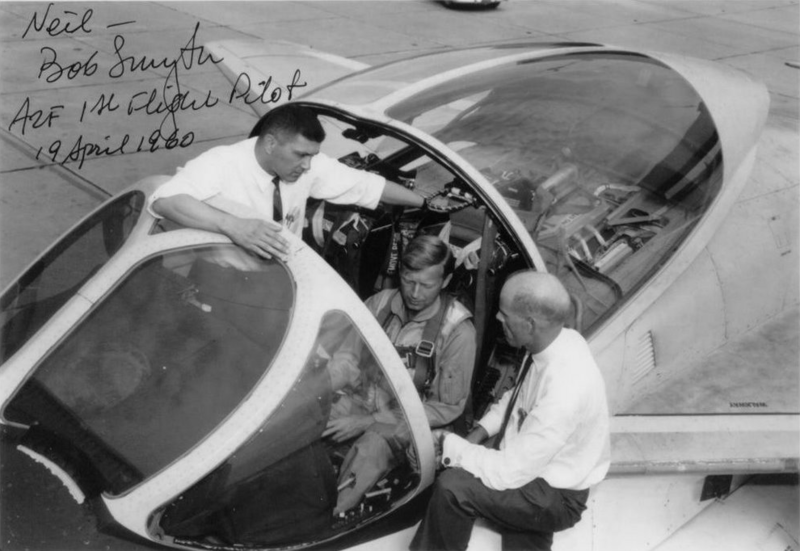 During follow-on flights, Bob Smyth and project test pilot Ernie von der Heyden (who flew the photo-chase plane during the first flight) alternated left and right seats. Bu. No. 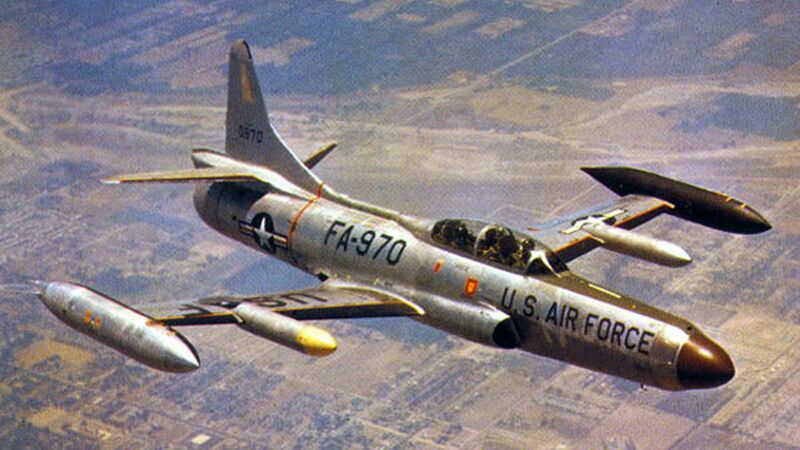 147864 was painted gray with U.S. Navy markings before being accepted by the Navy on 29 April 1960. The airplane was lost 31 May 1960. 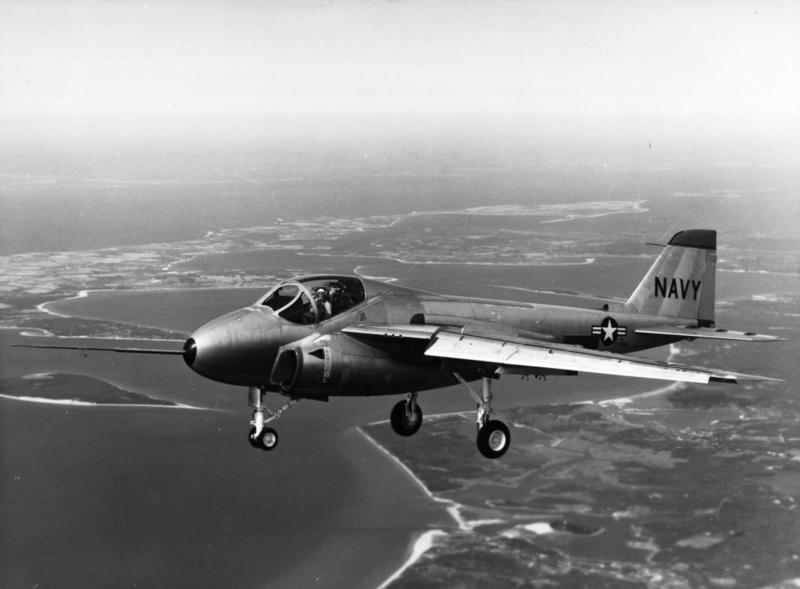 Eight Grumman YA2F-1 Intruders were built for the test program. They were redesignated A-6A Intruder in 1962. 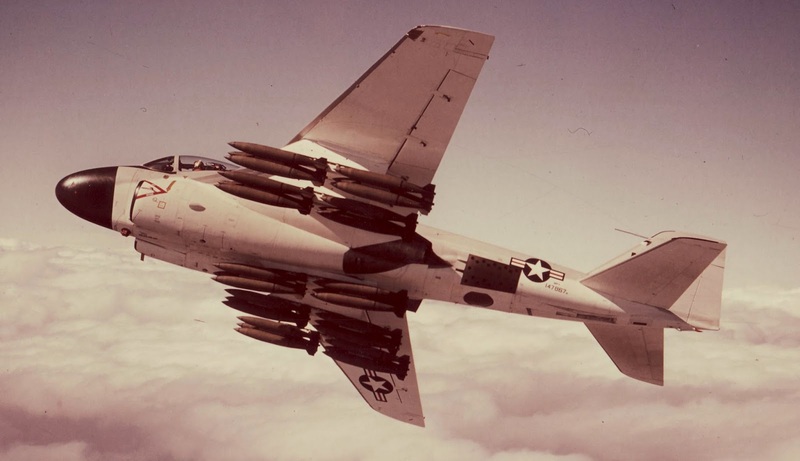 The Grumman A-6A Intruder was a carrier-based, all-weather attack bomber powered by two turbojet engines. It was operated by a pilot and a bombardier/navigator, or “b/n,” in a side-by-side cockpit. The wings were slightly swept. 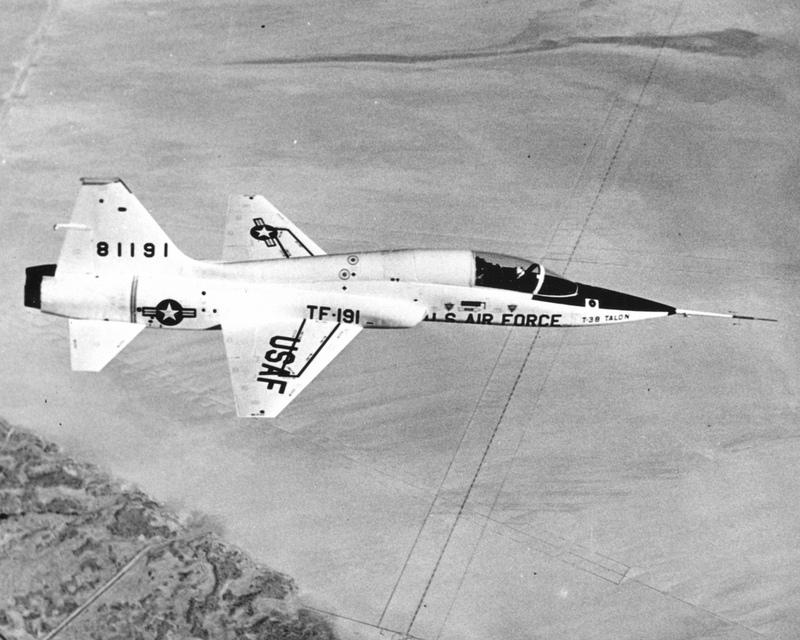 The A2F-1 was 53 feet, 3 inches (16.231 meters) long with a wing span of 53 feet, 0 inches (16.154 meters) and overall height of 15 feet, 2 inches (4.623 meters). The wings had a total area of 528.9 square feet (49.14 square meters) and were swept aft to 25° at 25% chord. The aircraft had an empty weight of 23,412 pounds (10,620 kilograms) and maximum takeoff weight of 53,278 pounds (24,166 kilograms). 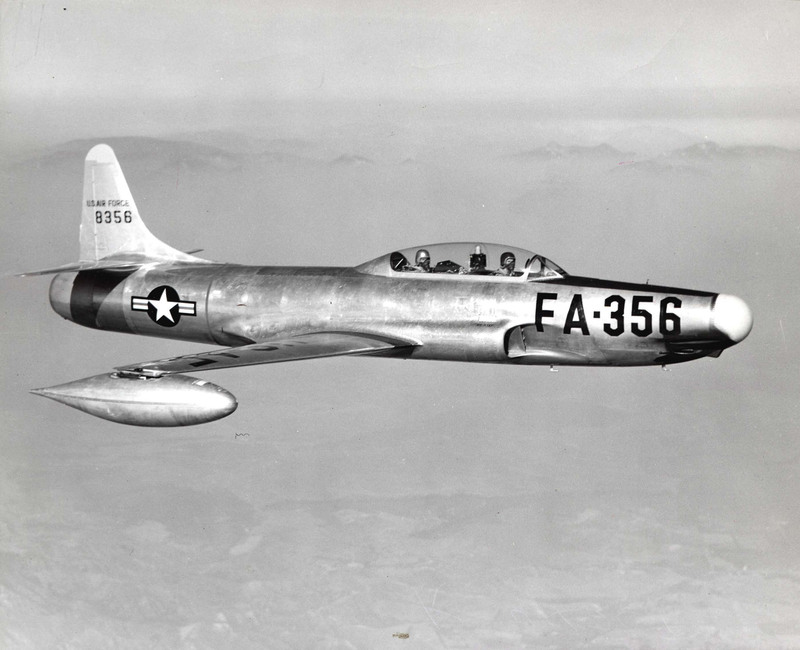 The prototypes were powered by two Pratt & Whitney J52-P-6 turbojet engines which had previously been used on the North American Aviation AGM-28 Hound Dog cruise missile. 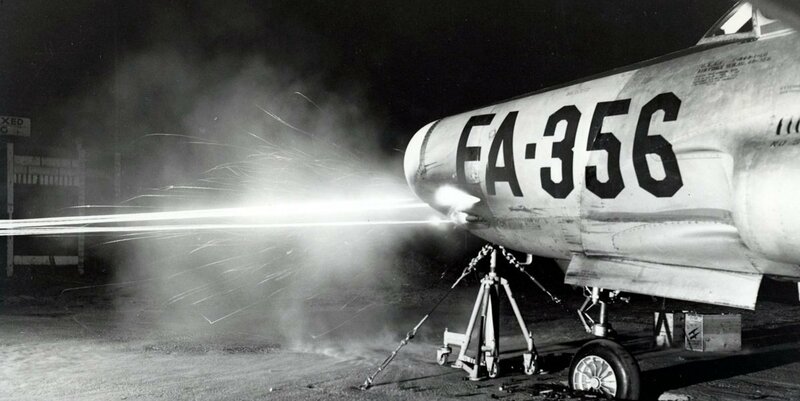 The J52 was a two-spool, axial-flow turbojet with a 12-stage compressor section (5 low- and 7 high-pressure stages) and 2-stage (1 high- and 1-low pressure stages). The engines had a normal power rating of 7,500 pounds of thrust (33.36 kilonewtons) at 11,400 r.p.m., and a maximum of 8,500 pounds (37.81 kilonewtons) at 11,650 r.p.m. 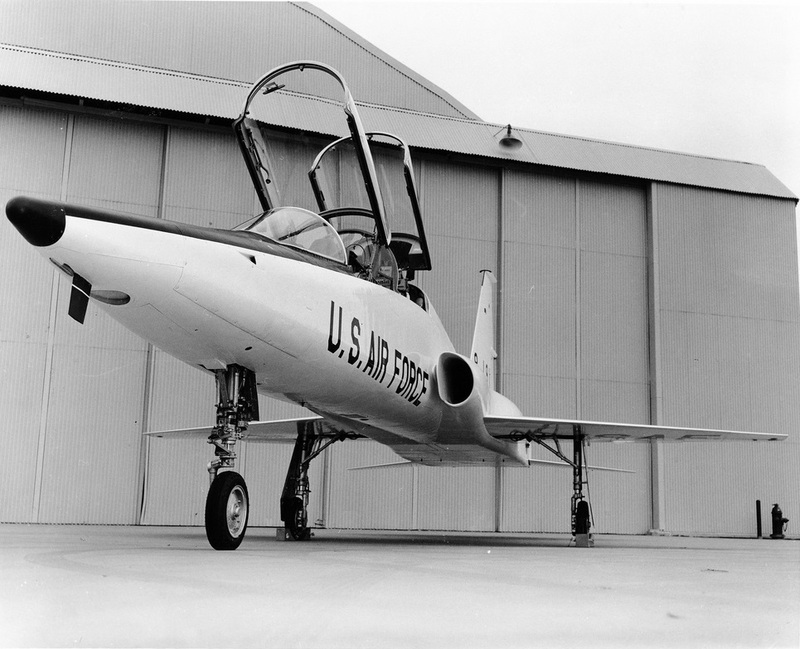 The J52-P-6 was 31 inches (0.787 meters) in diameter, 127 inches (3.226 meters) long, and weighed 2,056 pounds (933 kilograms) The engine incorporated an exhaust nozzle that could be swiveled downward 23° to assist in short field takeoffs. The A-6A had a cruise speed of 429 knots (493 miles per hour/795 kilometers per hour) at 44,450 feet (13,548 meters) and a maximum speed of 566 knots (651 miles per hour/1,048 kilometers per hour) at Sea Level. The service ceiling was 48,250 feet (14,707 meters), and the maximum range was 2,061 nautical miles (2,372 statute miles/3,817 kilometers). The initial production Intruders could carry 18,000 pounds ( kilograms) of bombs on hardpoints under the wings. It could also carry AIM-9 Sidewinder air to air, or AGM-12 Bullpup air to ground missiles. “Special Weapons” that could be carried included Mk. 28 or Mk. 43 thermonuclear bombs. The Intruder was a very successful combat aircraft with 693 built in attack, tanker and electronic warfare variants. 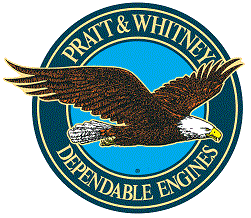 They remained in service with the United States Navy until 1997. 18 April 1952: Piloted by Chief Test Pilot Beryl A. Erickson, and Arthur S. Witchell, the prototype Consolidated-Vultee YB-60-1-CF, serial number 49-2676, made its first takeoff at Carswell Air Force Base, Fort Worth, Texas. 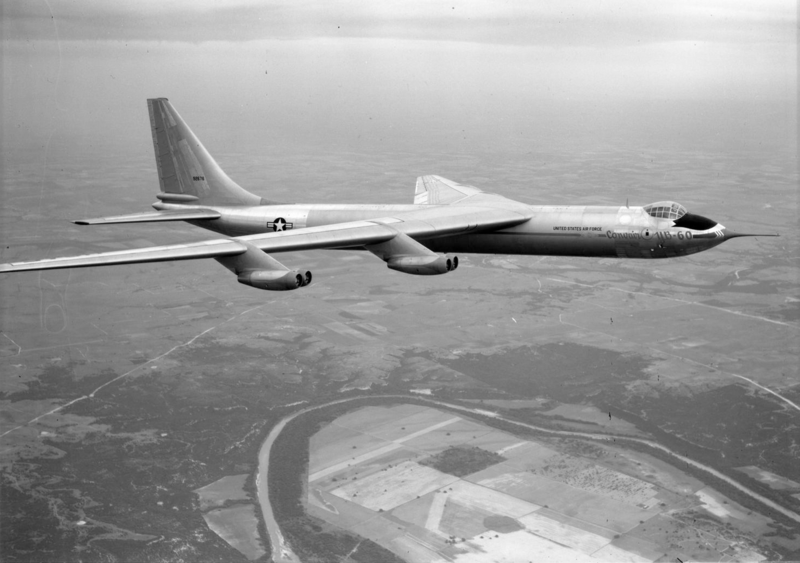 As a proposed competitor to Boeing’s B-52 Stratofortress, the YB-60 (originally designated B-36G) was developed from a B-36F fuselage by adding swept wings and tail surfaces and powered by eight turbojet engines. 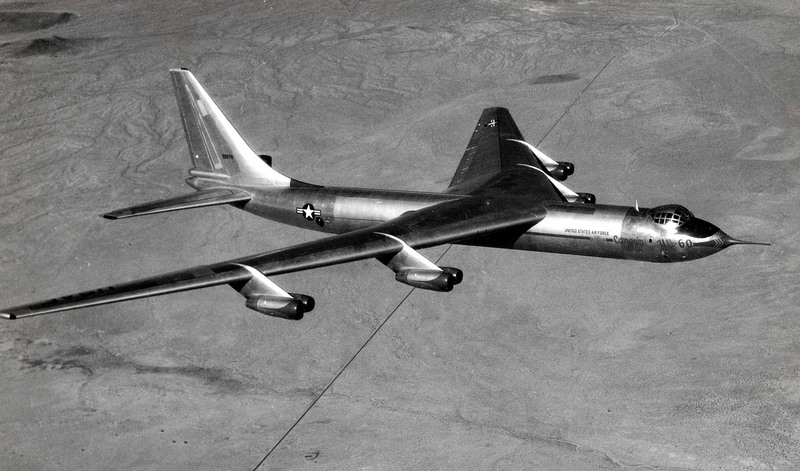 Its bomb load was expected to be nearly double that of the B-52 and it would have been much cheaper to produce since it was based on an existing operational bomber. FORT WORTH, April 18 (AP)—The all-jet YB-60 bomber “rides like a Cadillac” and “touched at fighter speed,” crew members said Friday after the ultra-secret global bomber completed its first test flight. 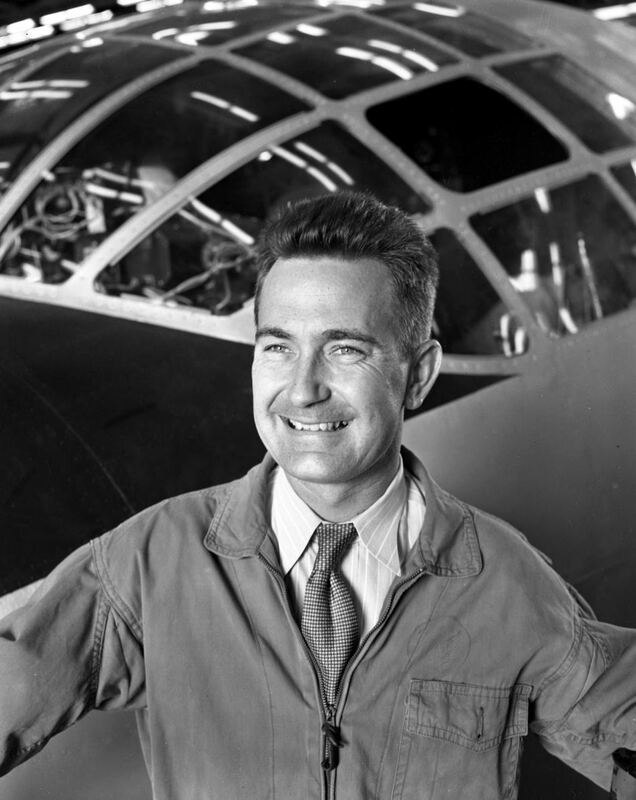 Erickson tried the YB-60’s performance and capabilities only “modestly,” he said. The flight was made at a moderate altitude—”a couple of Texas miles,” Erickson said. “The YB-60 rode like a Cadillac with no noise like a B-36—no prop noise or vibration,” Arthur S. Witchell Jr., the co-pilot, said. “This is the Queen Mary coming in gracefully,” Erickson said. 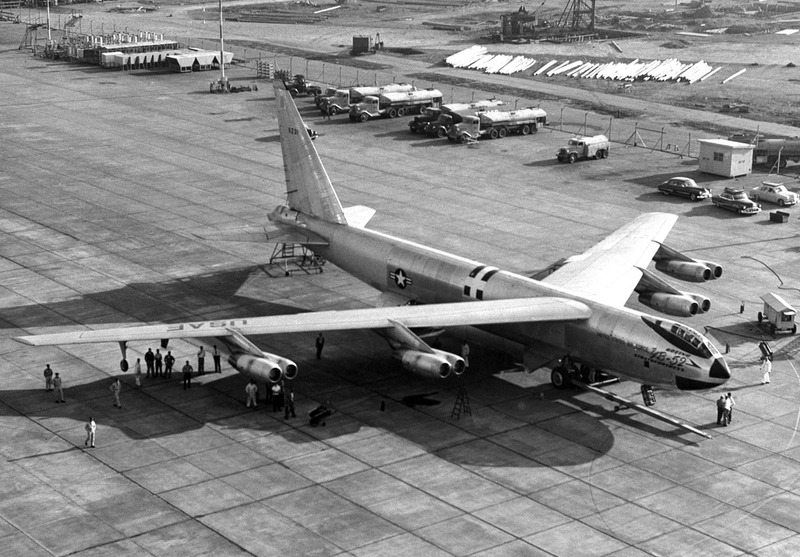 The plane is about the same size as the B-36, Erickson said. 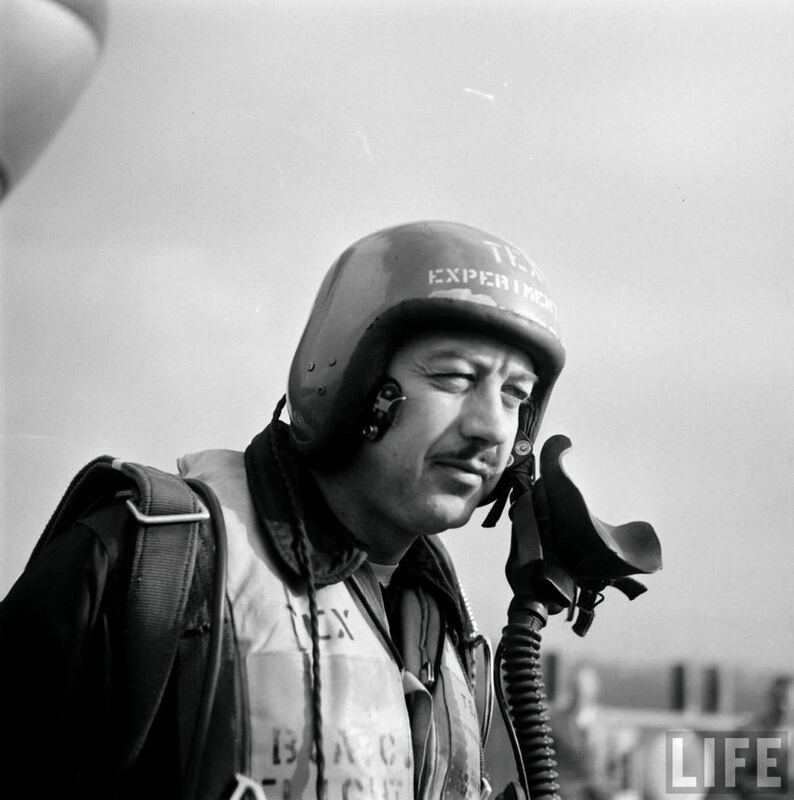 “Most any B-36 pilot would feel right at home,” he said. Witchell said tests would probably be made soon at higher speeds and higher altitudes. The plane took off with a deep roar, with a shrill, whining overtone. 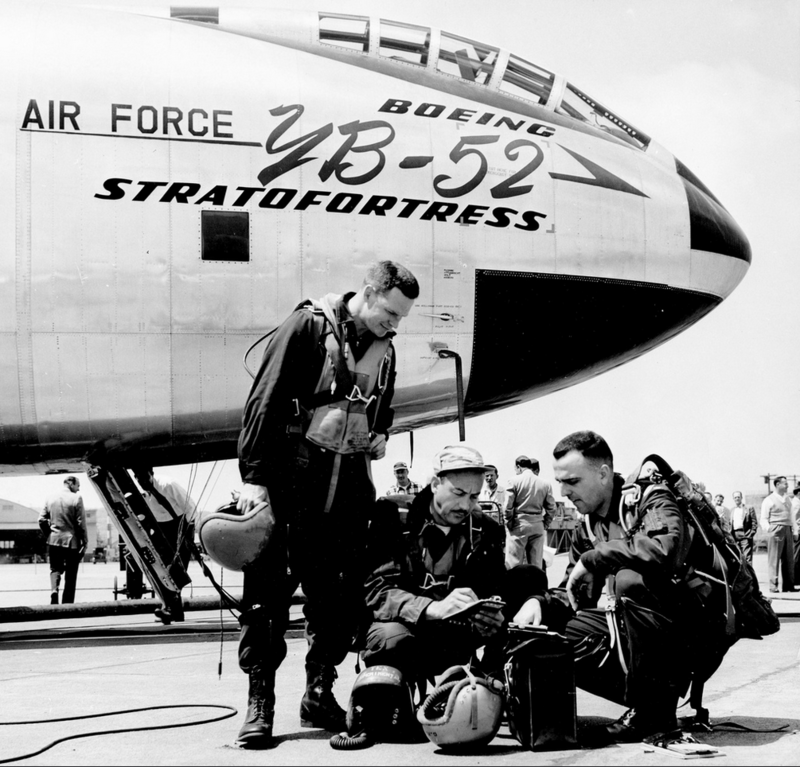 Several thousand spectators, including Air Force personnel from Carswell Air Force Base, home of the B-36, lined the left side of the Carswell runway and stood on rooftops. 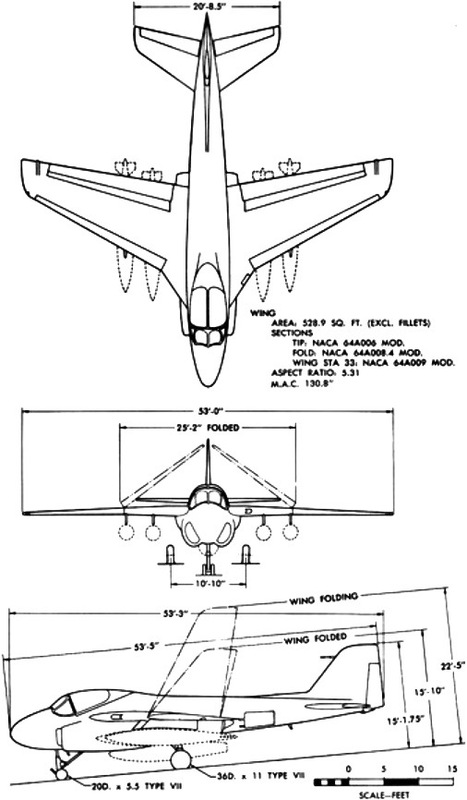 The spectators were able to distinguish little more than the YB-60’s extreme, almost-triangular swept-back shape. The YB-60 made a rendezvous in the air with a B-25 Air Force camera plane from which highly secret photographs were taken. —Valley Morning Star, Volume XLII, No. 271, Saturday 19 April 1952, Page 1 at Columns 3 and 4. 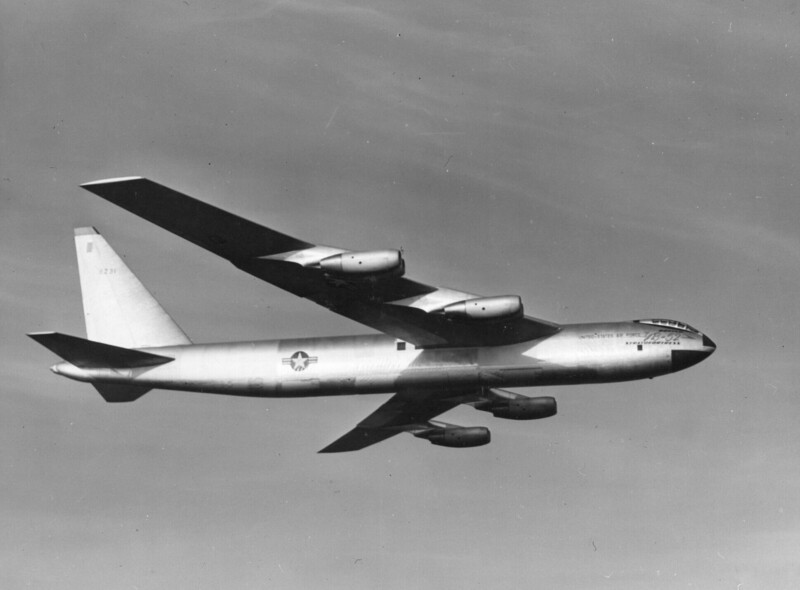 The YB-60’s first flight was three days after that of the Boeing YB-52 Stratofortress. 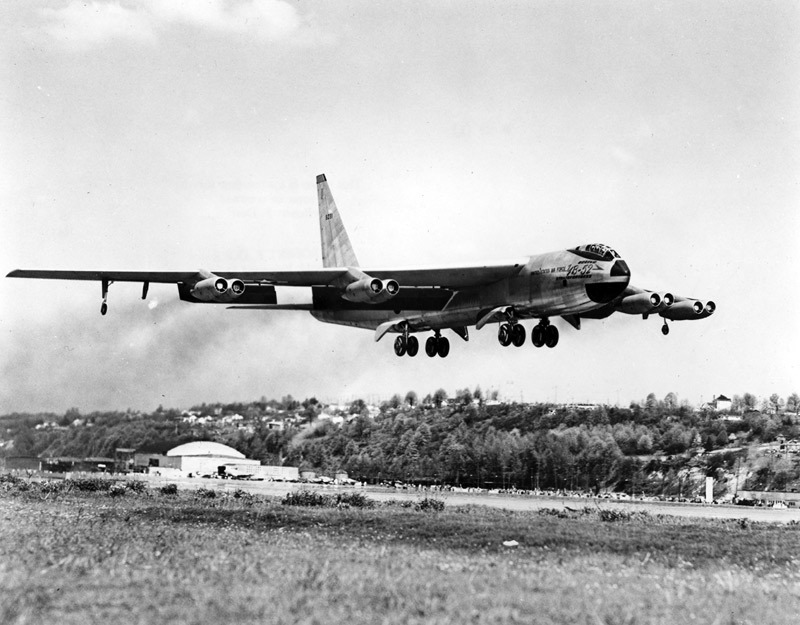 In testing, it was 100 miles per hour (161 kilometers) slower than the B-52 prototype, despite using the same engines. 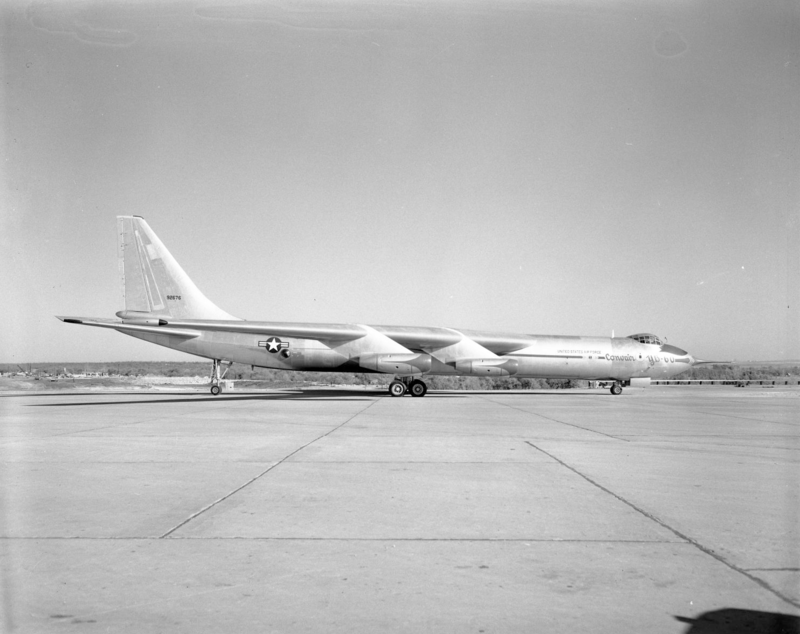 A second B-60 prototype was cancelled before completion, and after 66 flight hours the YB-60 test program was cancelled. 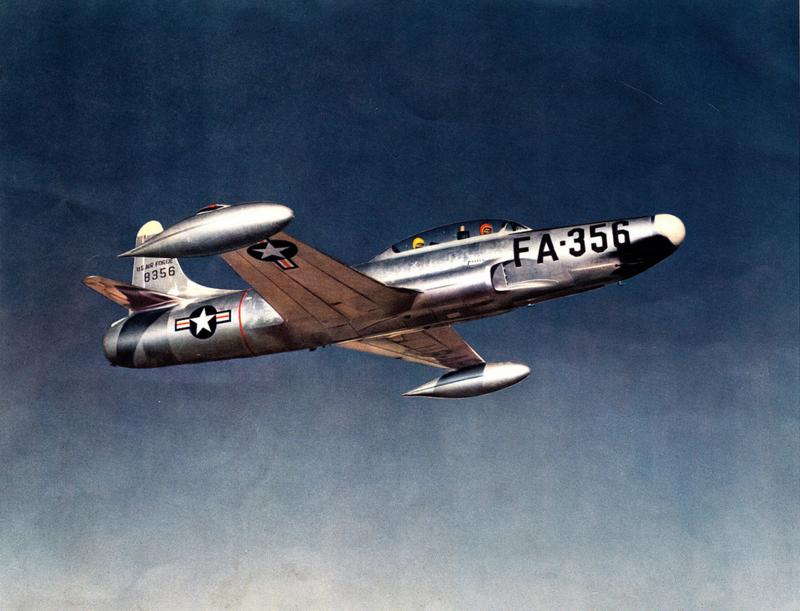 Both airframes were scrapped in 1954, with the second prototype never having flown. 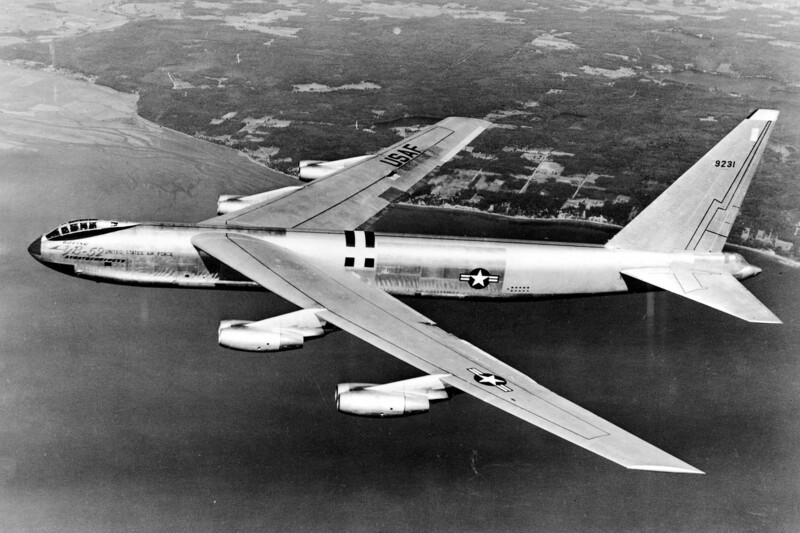 The Convair YB-60 was 171 feet (52.121 meters) long with a wingspan of 206 feet (62.789 meters) and overall height of 60 feet, 6 inches (18.440 meters). The wings were swept at a 37° angle. It had an empty weight of 153,016 pounds (69,407 kilograms) and gross weight of 300,000 pounds (136,078 kilograms). 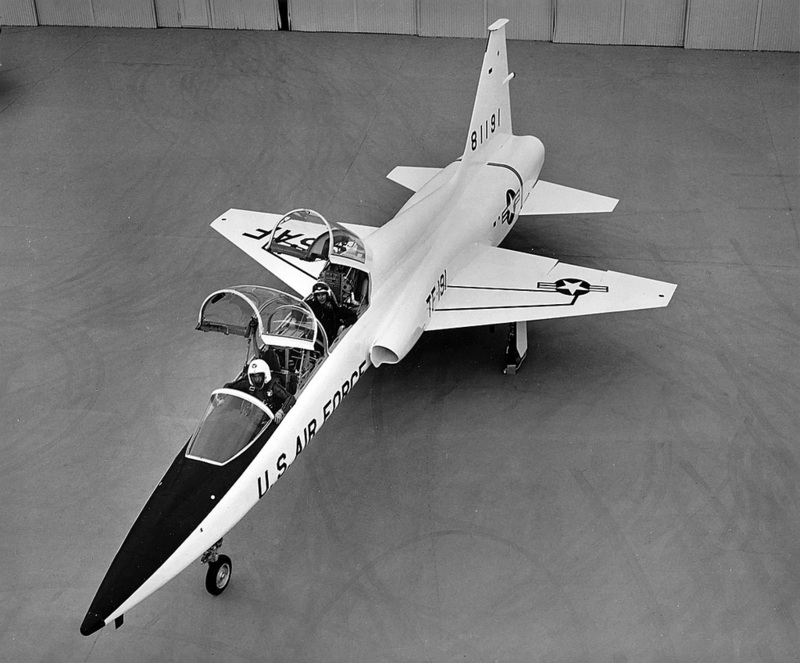 The prototype jet bomber was powered by eight Pratt & Whitney Turbo Wasp YJ57-P-3 turbojet engines. 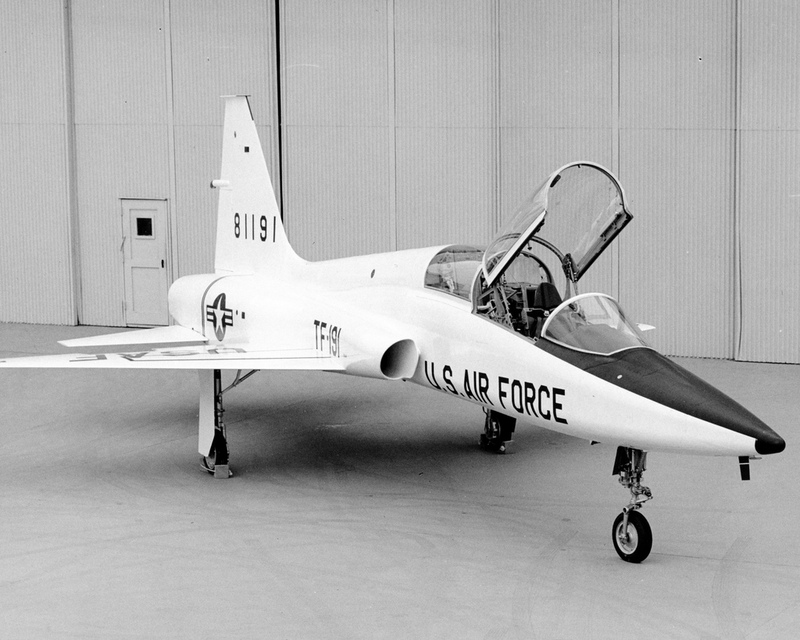 The J57 was a two-spool, axial-flow turbojet developed from an experimental turboprop engine. 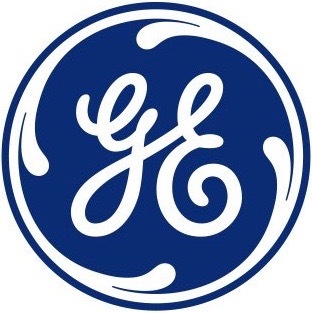 It had 16-stage compressor section (9 low- and 7-high-pressure stages), 8 combustors and a 3-stage turbine section (1 high- and 2 low-pressure stages). 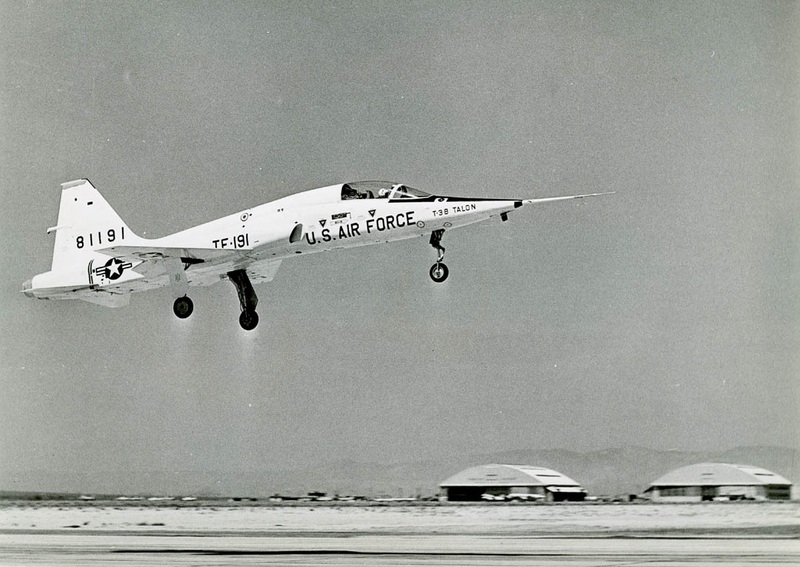 The YJ57-P-3s were rated at 8,700 pounds of thrust (38.70 kilonewtons), each. The YJ57-P-3 was 183.5 inches (4.661 meters) long, 41.0 inches (1.041 meters) in diameter and weighed 4,390 pounds (1,991 kilograms). These were the same engines used in the YB-52, and were similarly mounted in four 2-engine nacelles below the wings. Maximum speed was 0.77 Mach (508 miles per hour, 818 kilometers per hour) at 39,250 feet (11,963 meters) and the combat ceiling was 44,650 feet (13,609 meters). 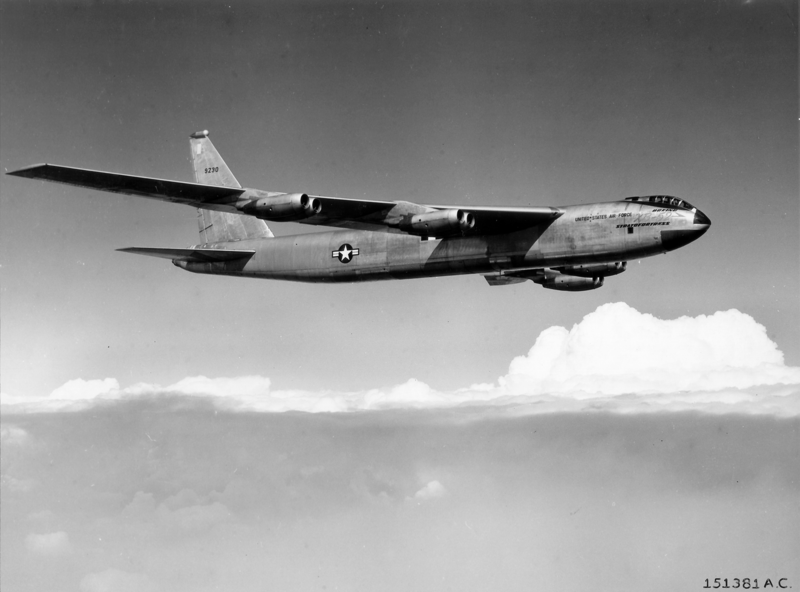 The YB-60 could reach 30,000 feet (9,144 meters) in just over 28 minutes. Takeoff required 6,710 feet (2,045 meters) and 8,131 feet (2478 meters) were required to clear a 50-foot (15.24 meters) obstacle. Maximum range was 8,000 miles (12,875 kilometers) but the combat radius was 2,920 miles (4,699 kilometers) with a 10,000 pound (4,536 kilograms) bomb load. The maximum bomb load was 72,000 pounds (32,659 kilograms). Defensive armament consisted of two M24A1 20 mm autocannon in a remote-controlled tail turret. The second YB-60 retained the upper forward and lower aft retractable gun turrets of the B-36, adding eight more 20 mm cannon.